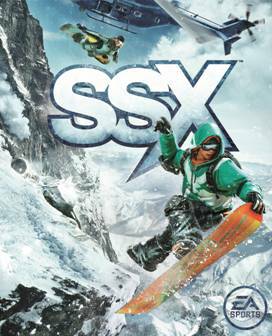 EA's upcoming reinvention of the classic extreme sports title SSX is almost upon us- and it's bringing a pretty big name soundtrack with it. Probably could have done without the dub step, but if you don't care for something on the packed in playlist, you can add in your own tunes. That's always an appreciated feature. There's also something called a 'dynamic music remix' tool happening here. What's that do? SSX also features a dynamic music remix tool that will automatically remix licensed tracks and custom music based on the player’s actions and performance in-game. Sounds like some cool stuff- getting a true dynamic and changing background score might be a little bit of a challenge considering we're not just talking about orchestral tracks here. Switching things up in a piece of music that has vocals in it might be somewhat dicey. We shall see. While we all wait for the game to drop into stores at the end of this month, why not peruse the complete track list? There's bound to be something you'll like... or not. Who can tell anymore, you're so picky.